I can’t tell you how excited I am about my newest knit!! I love drinking out of a quart mason jar, but I always worry about dropping it. 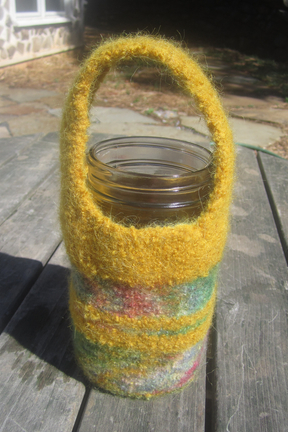 So, I’ve made myself a jar ‘cozy’. 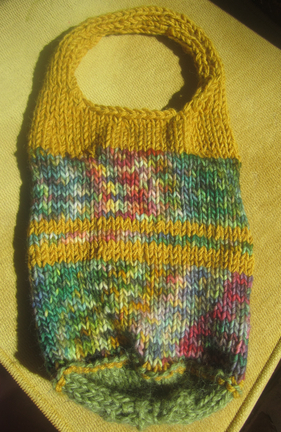 The pattern came from ravelry. I’ve had a number of people approach me about it and some even ask me to make them one. Who wouldn’t want one?? It’s awesome!! Keeps the tea warm, the water cool, and protects it from falls. Leif was my ‘felter man’. This entry was posted in General, Knitting. 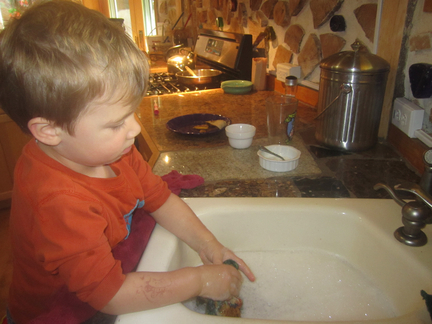 Can you wash the felted wool later if it gets dirty? How? I don’t know….putting that poor child to work like that. lol I love that your children are project orientated.